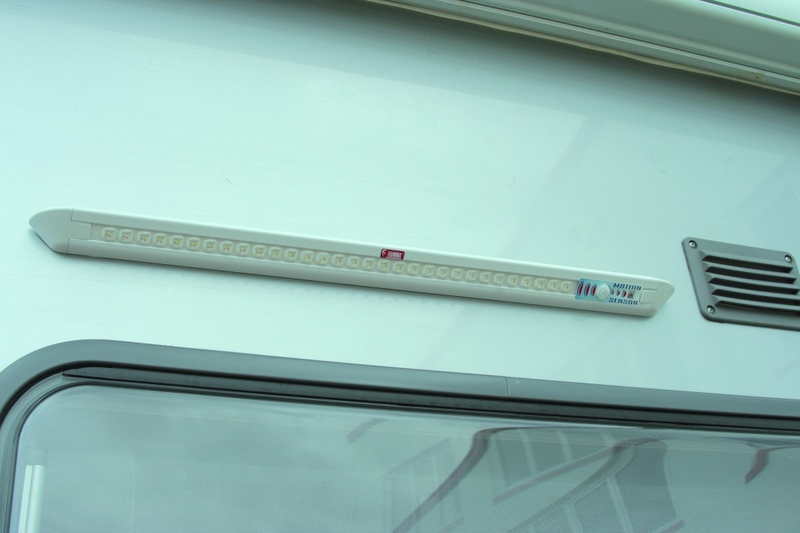 External LED light specially made to be installed on the door of your motorhome or caravan. 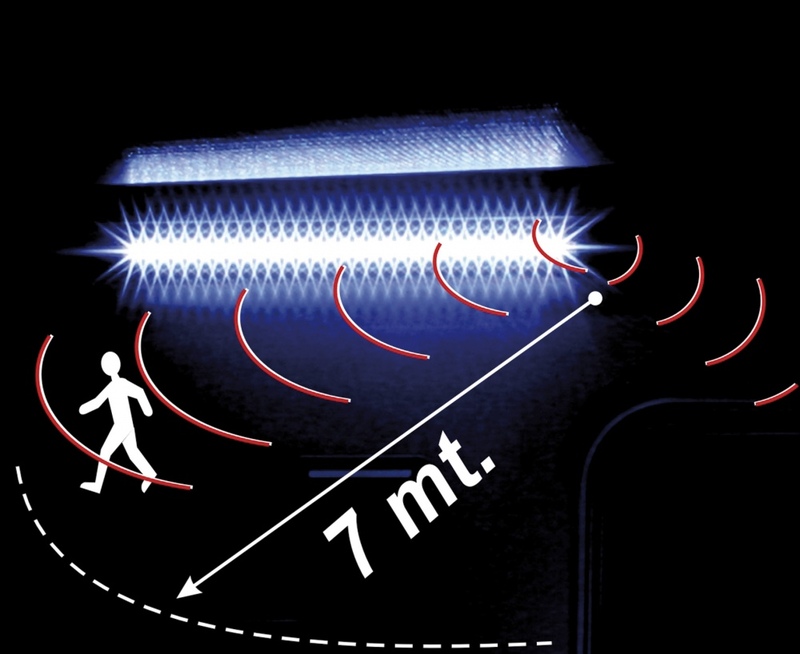 Similar characteristics like the LED awning light, but complete with movement and light sensors. It lights up only in the dark as soon as a person gets near, and stays on for 60 seconds. Ideal to be installed around the camper to increase security level during the night. Made of solid painted aluminium. It includes 31 LED lamps with intense white light that doesn't get hot; they are isolated for external use and consume low electric power. It can also be installed inside the vehicle door cabinets. Complete with elegant plastic terminals.